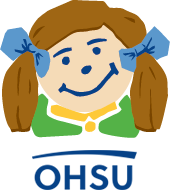 Following are 10 things you can do to help ensure your active child is safe and healthy at home. 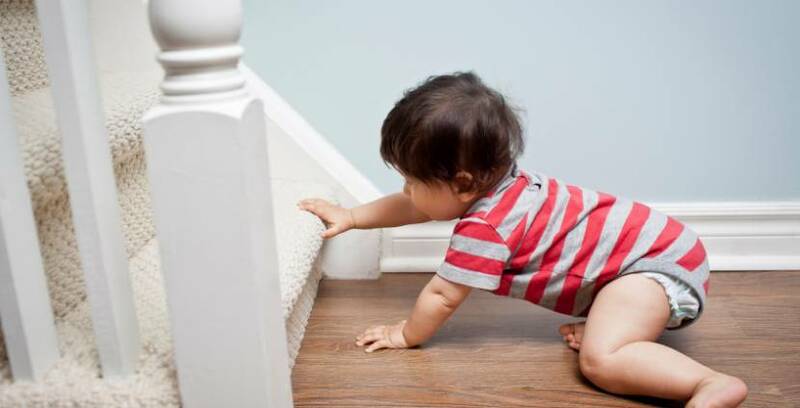 1) Think about the 10-second rule — If you would not trust your child alone with an item for 10 seconds, then he/she should never be able to get to it. Crawl around the rooms to identify hazards. Pay special attention to medicines, poisons and cleaning supplies. 2) Best vacuum cleaner — For infants and toddlers, everything goes in the mouth. Be sure your child does not have access to small objects. Button batteries can be particularly dangerous. 3) Cushion corners — Most toddler injuries requiring stitches are the result of coffee table and fireplace edges. While they may not be attractive, cushions for those edges can prevent some nasty lacerations. 4) Gravity works! — Stairs can be a huge hazard for early walkers. Be sure you have gates at both the top and bottom of the stairs. 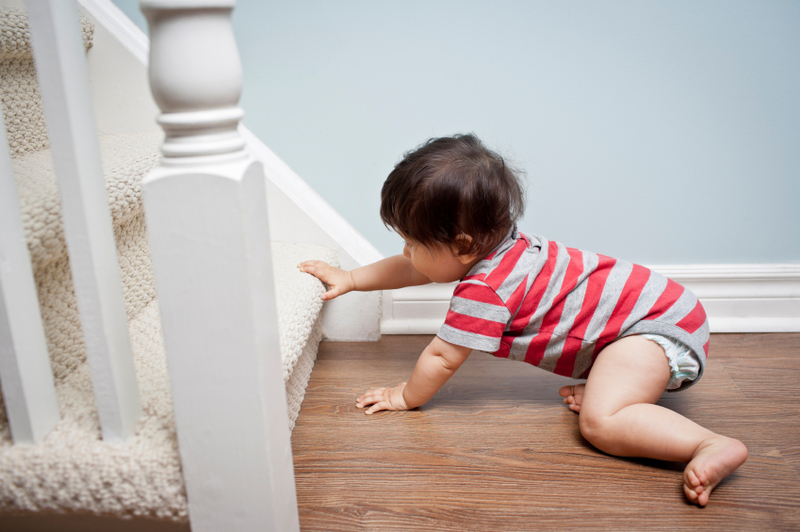 Help your child learn to navigate stairs safely with your careful supervision. 5) Window screens keep bugs out, but do not keep kids in — Hundreds of kids are seriously injured in window falls each year. All windows should have either a window guard to limit how much it can open (4 inches or less), or a metal or mesh guard that prevents falls. 6) Toddlers love to explore — Once your child is walking, be careful with hot food and liquids. Curious toddlers can pull on placemats, tablecloths or electrical cords and douse themselves with hot coffee. 7) Timber! 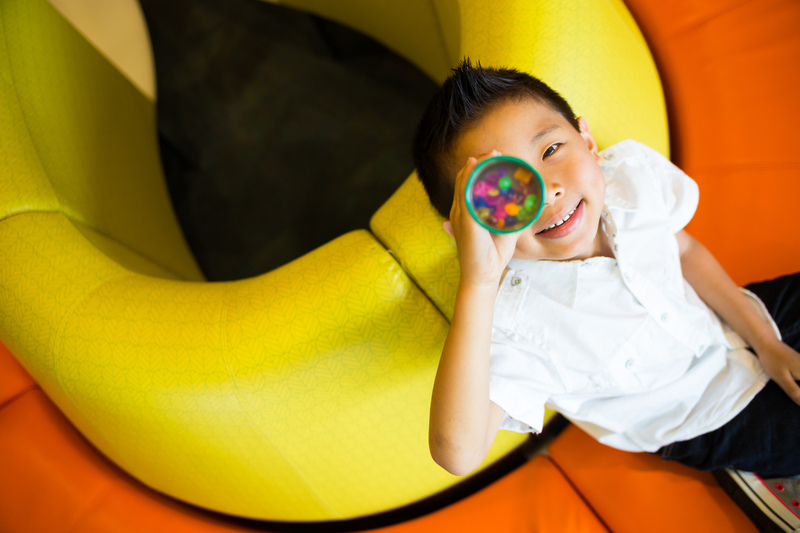 — Once kids master walking, they start climbing, and bookcases, TV stands and dressers look like fun! Be sure to attache heavy, climbable furniture to the wall so it cannot topple. 8) Lock ’em up — The safest way to store guns is unloaded in a locked cabinet with the ammunition stored separately. 9) Fire! — Be sure working smoke detectors are in or near all bedrooms, and test them twice a year. Keep a fire extinguisher in the kitchen. 10) Carbon Monoxide — Keep a working carbon monoxide detector on each level of the house, and test them regularly.